Let's make sure your system is compatible with our site. First lets try to see if you have all requirements taken care. Click this link to test: Troubleshoot issues and Please click the button "Run test" . 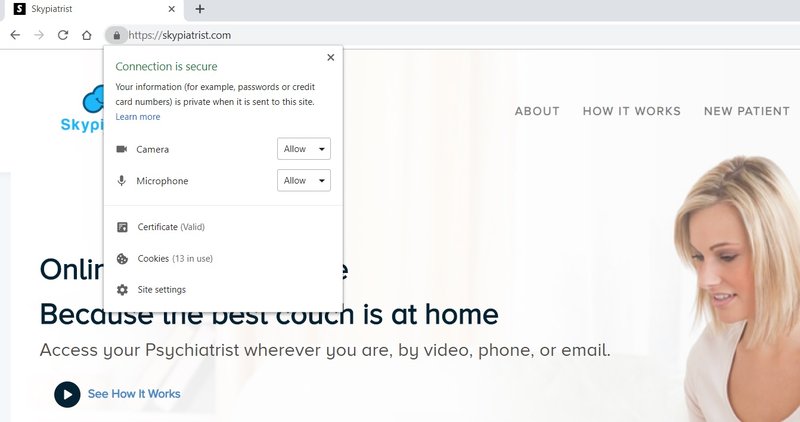 This step will analyze your camera and microphone settings and also check if there are any connectivity issues with our servers. Please email us at help@skypiatrist.com if you have any questions and if possible send us screenshots. Provide permissions to allow use of camera and mic for the session to work properly. 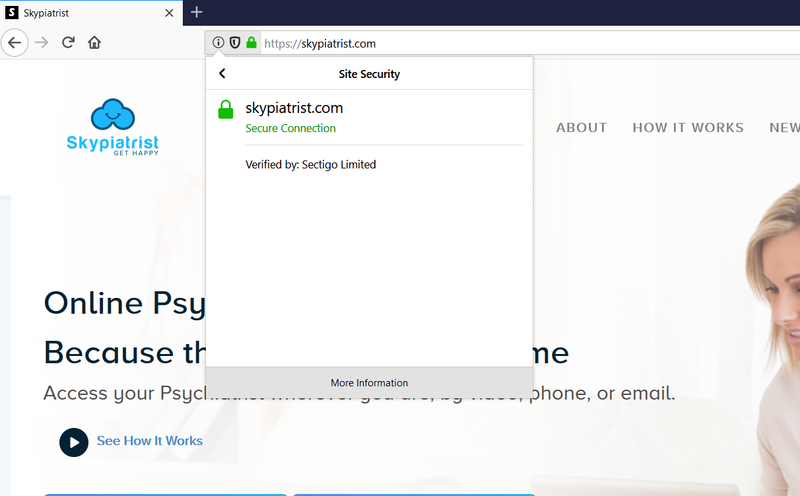 Open site: https://skypiatrist.com and click on the Lock icon in the address bar. 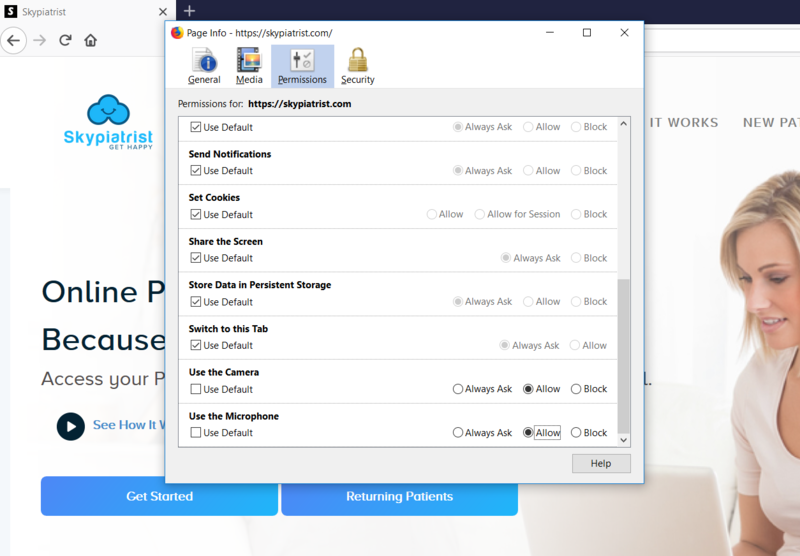 Click on camera and select "Always allow for this site"
Click on Microphone and select "Always allow for this site"
If you are using Chrome see the picture below shows how it looks after providing permissions. Please see if you are able to see and hear yourself. 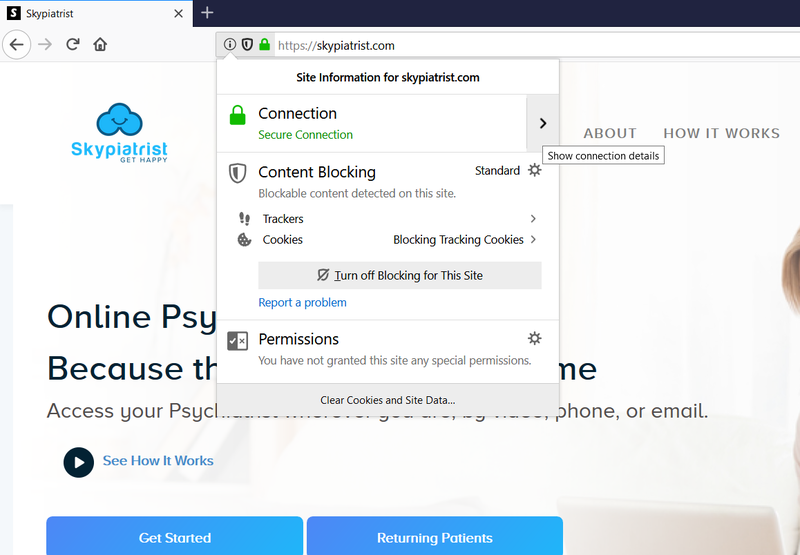 If you cannot see and hear yourself then, please check if you have allowed permissions for our site as shown in the step above. Please check the sound configuration in Control Panel (if you are on windows) which sometimes shows wrong camera and microphone as defaults. If you still cannot see and hear yourself then let us know by sending us an email here help@skypiatrist.com. Please provide us the results of first step which will give us an idea of any technical issues. Please provide us screenshots of the above steps as it will be helpful in troubleshooting.